As we approach the Christmas holidays, I wanted to share this recipe because it will come handy! First, let me start by saying that rejuvelac is an amazing drink that EVERYONE should make at home. If you are in your golden years, say goodbye to Metamucil and stool softeners and hello rejuvelac! If you enjoy occasional fastfood, you will want to ease your digestion with this homemade elixir! So many people suffer from digestive problems these days. Many become dependent on over-the-counter medicines that only alleviate the symptoms temporarily until they get used to them and they stop working! The great news about rejuvelac is that it not only helps move things through your digestive track but it replenishes enzymes that the standard American diet (SAD) robs from us. Apparently, not only do we produce less digestive enzymes as we get older but the ones we do produce get weaker over time! But, no worry, help is on the way and you can make it at home! This is, by the way, one of the secrets of the healthiest and oldest people living in what is called the Blue zones (areas of the world where large number of people live to be active, healthy centenarians). They all regularly drink a type of homemade fermented brew. Now, I have to say that I tried it 8 or 10 years ago but frankly the taste was a little too intense for me, so eventhough I knew that it was a formidable digestive help, I just couldn’t get it down. And I love fermented food, pickles, chutneys etc. But someone recently suggested that I add some acidophilus capsules to the batch to get rid of the strong fermented taste and also to add more enzymes to the finished product (I poured the content out from the capsules). Bingo, the result was so light and almost sweet. I still can’t get over the difference. I should have done this years ago! It is basically a fermented drink made mostly from either soft wheat berries or rye but can also be made with oat, barley, millet, buckwheat, quinoa or other grains. You can think of it as liquid yogurt without the dairy, the puss, the fat and the congestion! It is packed not only with acidophilus-rich probiotic enzymes but with 8 of the B vitamins, vitamins E and K, a variety of proteins and lactic acid. 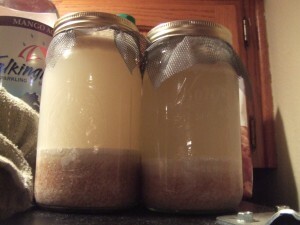 As with any sprouted or fermented dish, the process will take a few days, but you can make more than one batch with it. DAY 1: I usually start in the evening by soaking 2 cups of soft wheat berries or rye in a 2 quart jar or smaller glass jars. Cover with 1 quart of water and stir. Seal the jar with the ring that comes with it and some cheese cloth. Soak overnight (8-12 hours). DAY 2: Next morning, pour off the water and rinse several times until the water comes out clear. Make sure to drain the jar by leaving it at an angle in the sink or on the dish rack. Rinse and drain the jar in the evening. DAY 3: Rinse and drain the jar twice a day. DAY 4: You will notice that the seeds produced little sprouts. 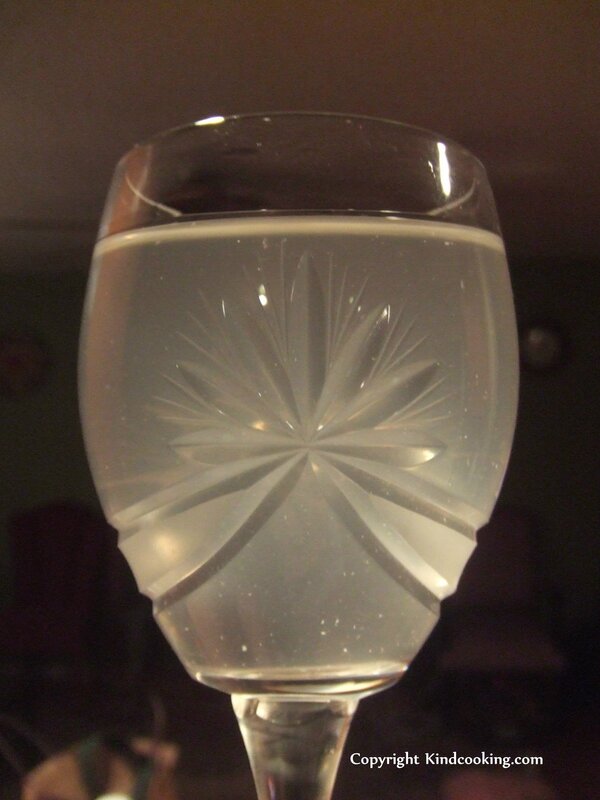 Add 6-8 cups of filtered or spring water. Pour 2-3 capsules of acidophilus if you want a lighter flavored drink and cover with the screen. Set on top of your refrigerator (nice and toasty). Wrap a towel around the jar to keep it in the dark for the next 2 days. DAY 6: Pour liquid into a glass bottle and serve, refrigerate the rest. You can make two more batches with the same berries by adding 1 quart of water and let it ferment for one day only. The fun doesn’t stop here, you can feed the berries to your compost pile or to the birds and squirrels. Is this great or what? 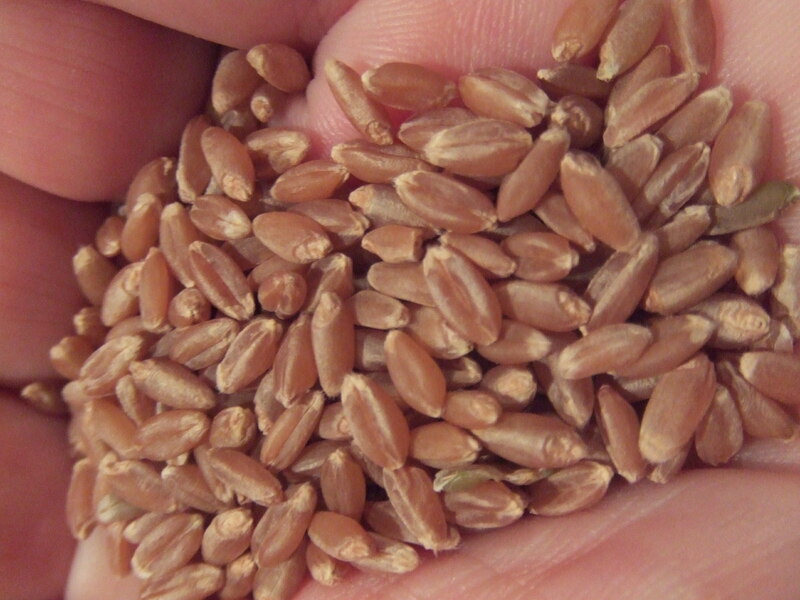 Who knew you could get all of this just from simple wheat berries? So what does it tastes like? A little tart, kind of yogurty and sligthly carbonated depending how long you ferment it. Looks a little cloudy. Best to take before or between meals. I start the day with a glass on an empty stomach. You can add a little juice if you want but it isn’t needed. Eliminating 3-4 times a day (that’s #2) without any effort! You are basically cleansing without even trying. Great for weight loss. If you are having a cooked meal without anything fresh in it, definitely drink a glass of rejuvelac to help digesting it. It is that simple. You may painlessly even pass small stones in the process. Pour the liquid in clean glass bottles (Ikea sells beautiful clear glass bottles for less than $2) and keep refrigerated for up to one week. 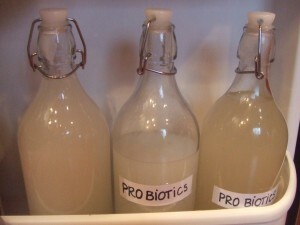 But since these are live enzymes, you should drink it in the next 2-3 days to get the most out of it. It is so cheap to make, don’t bother buying it. A few bucks for several cups of berries, some pro-biotics (optional) and some water! Plus you can experiment with other grains and alter the taste of the finished product. Since most of the diseases are the result of improper elimination of the food we eat, make this a new habit for the New year. Serve it in a martini glass without saying anything and you will have a par-tay! You can spike it with a little fruit juice of your choice, a slice of lime for a little extra flavor. One more thing, do share this post with anyone you know that suffers from digestive trouble. Pain and discomfort are optional if you can prevent them!